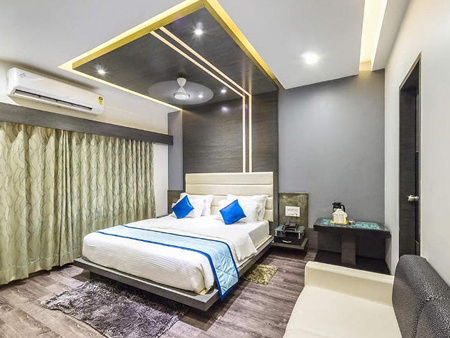 Hotel Corona is the most elegant business hotel in Bharuch, and is well known name famous for its quality food and hospitality. Located at a Near Bharuch Railway station and just behind Dadabhai Garden. 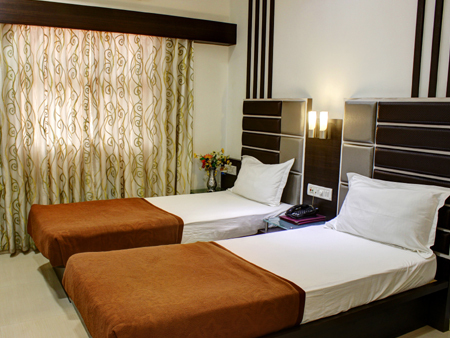 We provide our guests within a quiet & relaxed ambience in our specious & richly appointed rooms. These rooms are furnished beds as well as King sized beds. Luxuriously designed, the rooms are spacious, offering a seating area, wardrobes, work desk & a mini-bar. These rooms are furnished beds as well as King sized beds and seperate beds. The rooms are spacious, offering a seating area, wardrobes & work desk. These rooms are furnished with Twin beds. Luxuriously designed, the rooms are spacious, offering a seating area, wardrobes, work desk & a mini-bar. These rooms are furnished beds as well as King sized beds. The rooms are spacious, offering a seating area, wardrobes, work desk & a mini-bar. 24 Hours Room Service, LCD TV ‘s with Multi Channel. 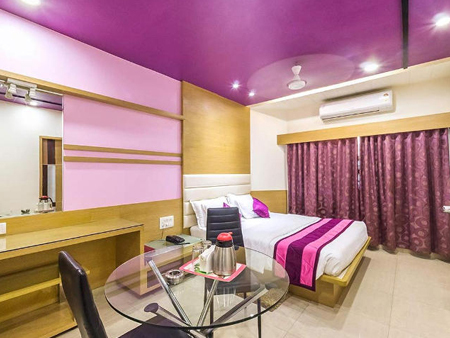 Hotel Corona is the most elegant business hotel in Bharuch, and is well known name famous for its quality food and hospitality. Located at a Near distance of 5 minutes from Bharuch Railway station(west) and just beside ST Depot.